Srinagar, Feb 7: Fresh moderate to heavy snowfall during the past about 24 hours has badly affected snow clearance operation on Sadhna top, Z-Gali, Phirkiyan pass and other passes connecting dozens of far-flung and remote areas, including those near the Line of Control (LoC), which remained cut off from rest of the valley from about over a month. ''Roads to Machil, Keran and Tangdhar remained closed for the past about over a month, due to accumulation of snow. 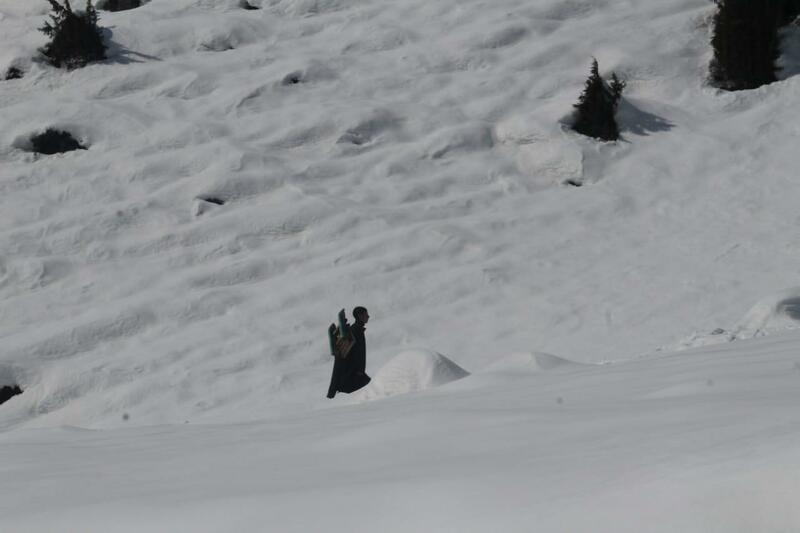 The snow clearance operation, which was initiated to reconnect these areas with their respective districts and tehsil headquarters in north Kashmir, were badly affected due to fresh about two to three feet of snow during the last about 24 hours,'' a Police Control Room (PCR) official told TNN over the phone from Kupwara on Thursday. He said traffic was restored on Kupwara-Keran road on Wednesday morning, after remaining closed for about a month. However, he said the road to the border town was again suspended due to fresh about two to three feet of snow during the last 24 hours. Similarly, he said dozens of other far-flung and remote villages too remained cut off from their tehsil and district headquarters after closure of Sadhna top, Z-Gali, Phirkiyan pass and other passes due to moderate to heavy snowfall. “Efforts are being made to clear the snow and restore traffic on these roads,” he said. But, he said fresh about two to three feet snow has accumulated on these passes during the last 24 hours. "Bad weather and fresh snow has badly affected the snow clearance operation in these areas," he added. Meanwhile, the border town of Gurez, surrounded by Pakistan-occupied Kashmir (PoK) from three sides, besides Neeru and dozens of other villages also remained cut off from district headquarters Bandipora since January 11 due to accumulation of snow. There was fresh snowfall during the past 24 hours, particularly at Razdan pass. A PCR official told TNN over phone from Bandipora that it is highly unlikely that the road will again be put through for traffic during winter months. ''Huge snow has accumulated on the road, particularly at Razdan pass and the clearance operation has become very tough due to fresh snowfall and as the accumulated snow has become very hard due to the mercury dropping several degrees below freezing point,'' he said. Both the Union Government, as well as the state government, have already sanctioned construction of a tunnel at Razadan Pass, to connect the border town of Gurez with district headquarters Bandipora, throughout the year. The road remains closed during winter, due to snow.